Do I have to tithe in the New Covenant? When it comes to tithing, there are two extremes. One extreme is the legalistic view that makes tithing a law which you must obey, or else! The other extreme is that of some grace preachers that say tithing is irrelevant since we are not under the law anymore. Both groups are wrong. No New Covenant believer should tithe out of fear that if he does not, God will be angry with him and pronounce a curse upon him. God does not curse His children. Furthermore, God loves a cheerful giver and would not be glorified by forced giving. But neither should any New Covenant believer think that tithing has no place under grace. That cannot be true because the first time tithing is specifically mentioned, it is in Genesis 14, when Abraham tithed to Melchizedek. Abraham is the father of all who are justified by faith and not by works. He related to God on the basis of a covenant of grace, not law. So the first time the subject of tithing is brought up, it is within the context of a covenant of grace, being practiced by the man God lifts up as an example of justification apart from law. This is significant because in interpreting Scripture, one important principle is the law of first mention. Simply put, this principle teaches that the first time an important subject is mentioned in the Bible, the truths revealed there about that subject are guiding truths that should inform your understanding of this subject subsequently. Tithing, therefore, should first and foremost be associated with the covenant of grace, and not with law. It should not be regarded as a tax being levied by God, with penalties associated for not paying up. Instead, tithing should be to us what it was to Abraham–an act of worship, an expression of faith and gratitude, in response to God’s grace. Notice, Melchizedek, a type of Jesus, “king of peace” and “king of righteousness” offered Abraham bread and wine, the symbols of the New Covenant. And then he blessed Abraham, apart from any works Abraham had done. There are no tablets of stone here. Is this not a picture of grace? Surely, this is unmerited favor being bestowed upon Abraham. And it is to this undeserved favor being lavished upon him that God’s man of grace and faith responds by offering a tenth of all his increase. He was not commanded to do so. He did not have to do so by law. It was not forced upon him, but he did so freely, willingly, joyfully. He did so because it was the only appropriate way to honor so great a person as Melchizedek; the only appropriate way to express faith, love and gratitude to One so great and so kind! Child of God, you don’t have to tithe to be righteous. You are righteous by grace through faith. But if you, who are righteous by faith, ever truly understand the greatness of God and the magnitude of the undeserved blessing He has bestowed upon you in Christ, like Abraham, you will want to worship Him. And worshipping Him with at least a tenth of your income will seem to you the only appropriate way to respond. 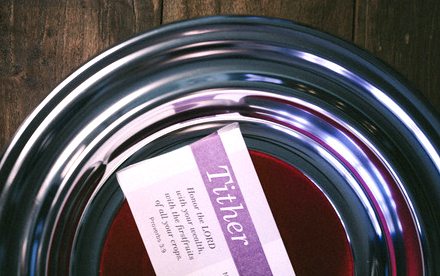 So, do you have to tithe? No, you can go to heaven, even if you are not a tither. Grace takes care of that! You will just miss out on a lot of experiences you could have had with God along the way, if your failure to tithe is the result of your unwillingness to trust God with your finances. But the good news is, you get to tithe! And when you do, don’t be surprised if God decides to bless you again and again. For the truth is, every time you choose to trust and honor God, He will honor you in fact. Try as you may, you can never out give God! Tithing is not a burden. It’s a blessing. God gave us His best. Seems to me the least we should worship Him with is the tithe! What do you think? Thank you Bishop. This has brought the word concerning tithing alive to me, especially the significance of the bread and wine Melchizedek brought to Abraham; the symbols of the new covenant. Thank you so much. Thanks very much Bishop for this enlightenment. Please help me understand where can I pay a tithe? Does it have to be in a church that has my official membership or a servant of God whose ministration has blessed my life ? Your local church is the “store house” where you should tithe regularly, if the Word is being preached there. If you do not belong to a church like that, you should ask the Lord to lead you to one. You are free to sow seeds into the ministry of other servants of God as you are led. But the first place for your tithes should be your local church. This is the truth about tithe many are scared to teach. this subject is rarely talked about.. thank you for bringing this up. Abraham GAVE a tenth to the high Priest after the Priest blessed him. The 11 tribes are COMMANDED to give a tenth to the Priest (Levites) so they get blessed. with Abraham, blessings first, then tithe. Thank Bishop this really helped.